I didn’t love it but I also didn’t hate it. I felt like The Escape Room as a whole had some really strong points but some really weak ones as well. I really enjoyed the concept of the book and the past/present POV but the rest of it all fell short for me. The idea of the story was something that was new and exciting to me! 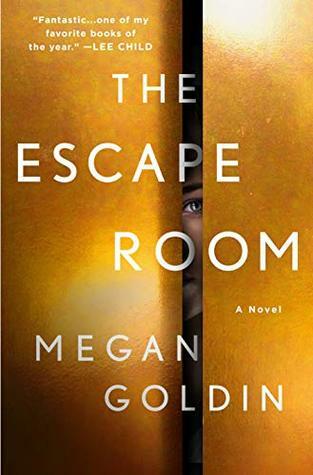 After I read what it was about on Netgalley, I was excited that it was a thriller that was based around something we don’t normally read about: an escape room. While the concept and plot of the book sounded 100% interesting the story itself, unfortunately wasn’t what I had expected. As a reader, I wouldn’t count it as a mystery or even a thriller mainly because it didn’t thrill nor excite me. But I really appreciated how original the plot was. The story as a whole was slow-paced and dragged as there was just too much information that wasn’t necessary to the story. I feel like the author did this so that the reader wasn’t able to pick up on easy clues and details but it really was more of a distraction to me than it was helpful. If you read and follow this story closely– you’re going to guess the outcome, the “who did it”, and the ending no matter how often the author tries to add new information or details in to distract you. It was just one of those books. The ending was a little too far fetched IMO… that was the best the author could come up with? After all of that? I went into The Escape Room with high expectations but unfortunately, it just wasn’t as good as I thought. Overall, it was an okay read. There is just enough in there to keep you going until the end to see how everything plays out.